Recently, One of the secret of 'Game of Thrones' novels has been revealed by its author 'George R.R. Martin', who said on Conan (Television Program) that 'Game of Thrones' Was Written on a DOS Machine powered by WordStar application. 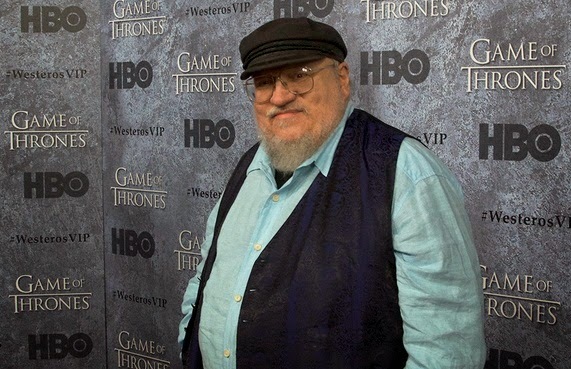 Watch Video of Game of Thrones author George R.R. Martin to know more secrets about Game of Thrones below. George R.R. Martin further said that, he is using a computer since 1982 and in today's fast moving technology and a new age of media where social media is available on internet to spread words to the public much quickly, But he still likes the simplicity of WordStar 4.0 (a word processor application of DOS) and doesn't like today's modern spell-checkers and auto-correct applications and softwares. Let's Watch Game of Thrones author George R.R. Martin Video below, and find out more what he has further revealed.